The Eyes of Water comes in at all of 25 pages. 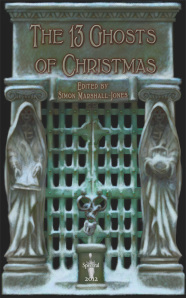 I don’t think we’ve seen enough of novelette and novella forms in recent decades, and to my mind, they’re a welcome return to form â€“ Spectral Press are delivering in this, bringing short-form chapbooks of creepy tales, including this one, which is already sold out. We can but hope for an ebook version. 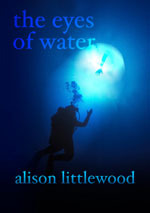 Littlewood gives us Alex, a scuba diver on what appears to be a long dive trip in Mexico. The excitement of the dive is clearly wearing off by the start of the novelette. He meets his childhood friend Rick for a joyful swim in the centre of a cenotÃ© â€“ a place where rainwater collects and the source of freshwater for local people. CenotÃ©s are both water sources as well as were sacred to the Mayans, precursors of modern Mexicans. Alex’s reunion with Rick sets off a chain of events that will prove profound to Alex’s life. This is a perfect chapbook to read over lunch or a sunny afternoon in the park â€“ it’s not a simple task to build real, engaging characters and situations in something this short which will hold our attention this long â€“ Littlewood should be commended for her deft skill. Her sentence-level writing and her story structure builds a real world on top of one we already know. She manages to capture the weariness of the tourist who’s seen it all â€“ whether visiting world famous sites below the water or trudging down a dusty lane lined with tat sellers on the side. Alex is a timid diver, and has to try new, dangerous, life-threatening things â€“ like diving a helocline (the place where salt and freshwater mix in a cave) and removing one’s tanks. 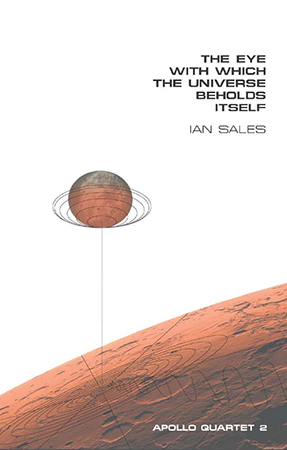 There is a real sense of atmosphere and foreboding created in this book which builds towards its conclusion. While there may not be a massive surprise, there is closure and finality and a real sense of place. ‘Eyes of Water’ is a worthy addition to an ereader, and worth seeking out in physical for the collectible-obsessed, especially if you loved her earlier novel ‘A Cold Season‘.